Les tresfermes choses, ne povoir estre arrachées. Tant que Cesar Charles soit Empereur. Turc de passer à Vienne en Austriche. 3. 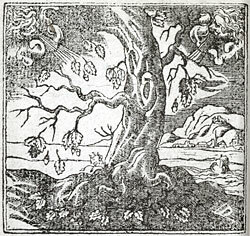 Oaks were holy because sacred to Zeus, especially at his sanctuary at Dodona in Greece. CHECK([A58a188]). The image of the dry leaves is already present in the Greek poem, but see also Vergil, Aeneid 4.441-4.